As of the 1st of January 2018, Luca Sisto is the new General Director of Confitarma. Luca Sisto is taking over from Gennaro Fiore. Luca Sisto, 53 years old, graduated in Political Science at the La Sapienza University in Rome, joined Confitarma in 1989; since 2001 he has been Head of the Transport Policy Department and Secretary of Confitarma’s Expert Committees for Oceanic Navigation and Short Sea Shipping; he has been Deputy General Director since 2016. Promoter of the Seamaster, he has relaunched the Italian Institute of Navigation, of which is vice-president. Luca Sisto is also a member of CISM – the Interministerial Committee for Maritime Transport and Port Security; he has given several lectures at universities and institutions of higher education and has been a speaker at many conferences. Mario Mattioli is the new President of Confitarma, Italy’s association of shipowners. Mario Mattioli is the new President of the Italian Shipowners Confederation: he was unanimously elected by the Assembly held today in Rome in a private session. Mario Mattioli thanked the former President Emanuele Grimaldi for the work he has done with his team – of which I had the honor of being part and illustrated the program for the coming months in line with the needs and indications expressed by the associated companies during the consultations of the Designation Commission, based on the logic of continuity. 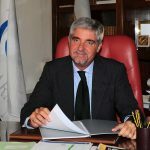 Mattioli stressed that Confitarma will continue its action also in the context of relations with Confindustria and the Federation of the Sea “which for years has been the only body able to give voice to the maritime cluster as a whole with a constant action, perhaps silent but of high value: a federation that will be able to review its organization according to new needs expressed by the associations belonging to it”. “I will try with all my strength to continue on the same path that has brought benefits to the Italian armament,” concluded President Mattioli – aware of the fact that being the President of Confitarma means taking the responsibility to represent an important category of our country, characterized from peculiarities that make us completely different from other business categories, because of our international character. Today, in front of you, I take on this responsibility to put it at the service of all of us “. 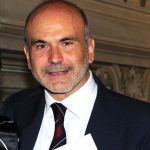 As of 1 January, 2018, Luca Sisto is the new Director-General of Confitarma. Luca Sisto is taking over from Gennaro Fiore, who had been at Confitarma since 1983 as Head of Transport Policy, as Deputy General Manager from 1998, and then as General Manager from 2003. Luca Sisto, who is 53 years old, studied Political Science at university, and joined Confitarma in 1989; since 2001 he has been Head of the Transport Policy Department and Secretary of Confitarma’s Expert Committees for Oceanic Navigation and Short Sea Shipping; he was Deputy Director-General from 2016. Promoter of the Seamaster has relaunched the Italian Institute of Navigation, of which is vice-president. Luxca Sisto is also a member of CISM – the Interministerial Committee for Maritime Transport and Port Security; he has taught at universities and institutions of higher education and has been a speaker at many conferences.